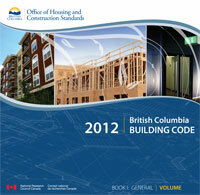 The changes to the BC Building Code took effect on December 20, 2012. All building permit applications are now required to reflect the design and construction requirements in the new Code. Copies of the BC Building and Plumbing codes are available for reference at all BC public library locations.